TP-Link Archer A6 is TP-Link latest addition to the affordable A series lineup. It features decent WiFi performance at an affordable price of RM239. The Archer A6 supports dual-band Wireless AC up to AC1200 with 4 external antennas. It also comes with all Gigabit Ethernet LAN ports! Besides, TP-Link also added MU-MIMO and Beamforming to this router which is something not common at this price point! You probably realize that it seems very similar to the Archer C6. Well, they are probably the same router except the A6 is only available to purchase online! Think of the A6 as an ever more affordable version of C6 which you can only buy it online. 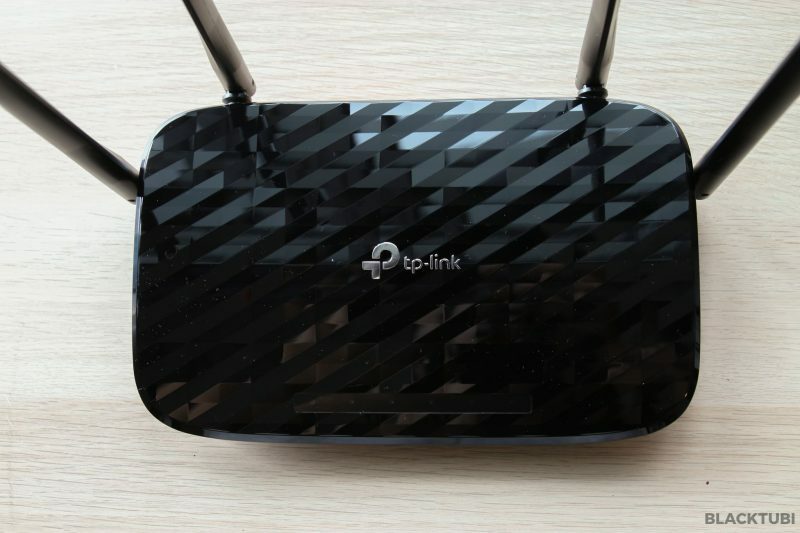 Like the Archer A7, TP-Link Archer A6 is powered by a Qualcomm wireless chipset so it should be a pretty stable router. It supports Wireless AC1200 up to 867Mbps link speed on the 5Ghz channel and 300Mbps on the 2.4Ghz channel. Mind you that you will not get anywhere close to this figure after all factors considered. 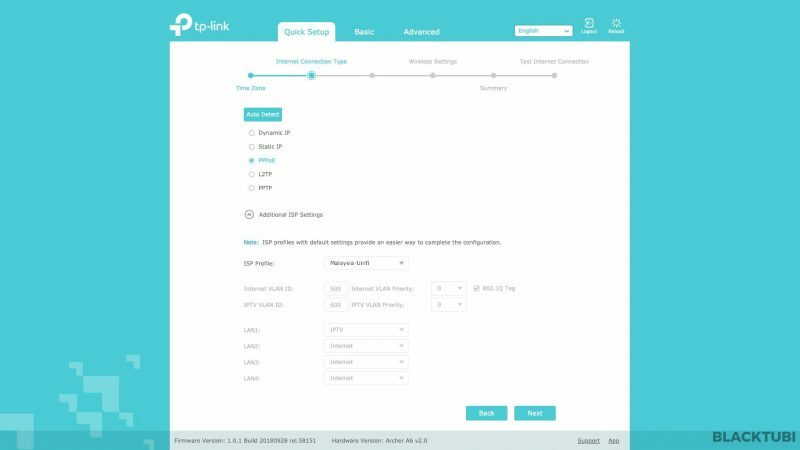 TP-Link Archer A6 also supports MU-MIMO and Beamforming on the 5Ghz channel though it is not enabled by default as some devices may not be compatible. We recommend enabling this for better WiFi performance. The 5Ghz channel is powered by a newer Qualcomm QCA9886 chipset rather than QCA9880 on the Archer A7/C7. That explain why the A6 comes with MU-MIMO and Beamforming which both the Archer A7 don’t. 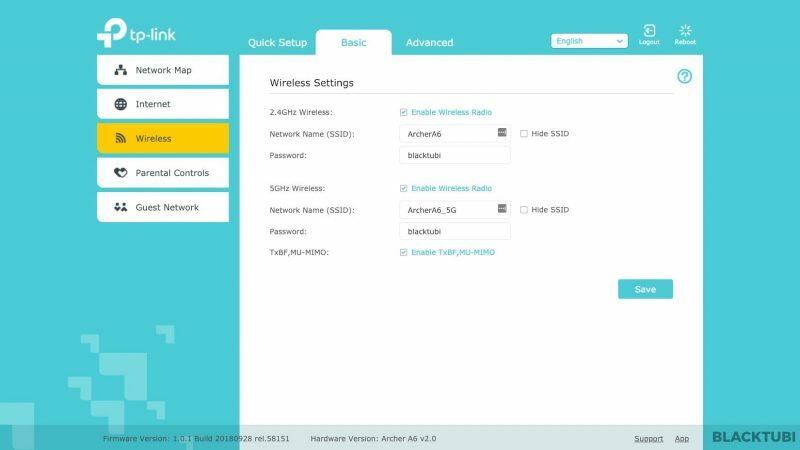 There are not a lot of features for an affordable wireless router but the firmware is at least very easy to use and rather simple. We do not face any difficulties in the setup process of the Archer A6. I have the router running for one week and we do not face any stability issues with this model. 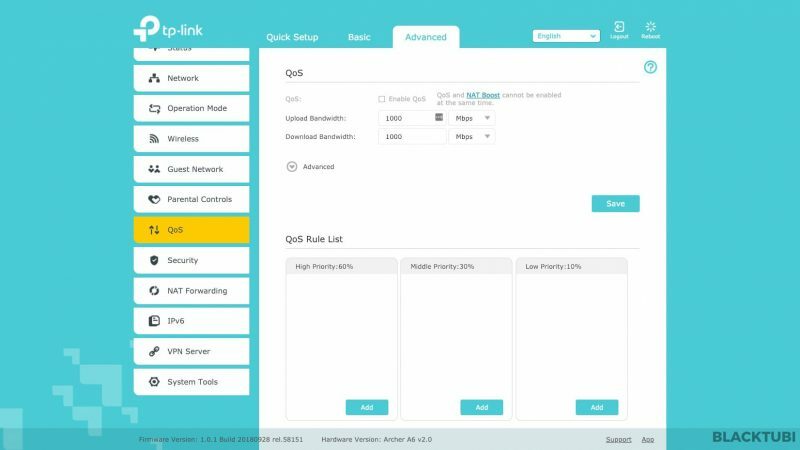 There is a built in priority based QoS though we do not recommend using it if your Internet plan is more than 100Mbps as it will disable NAT Boost. 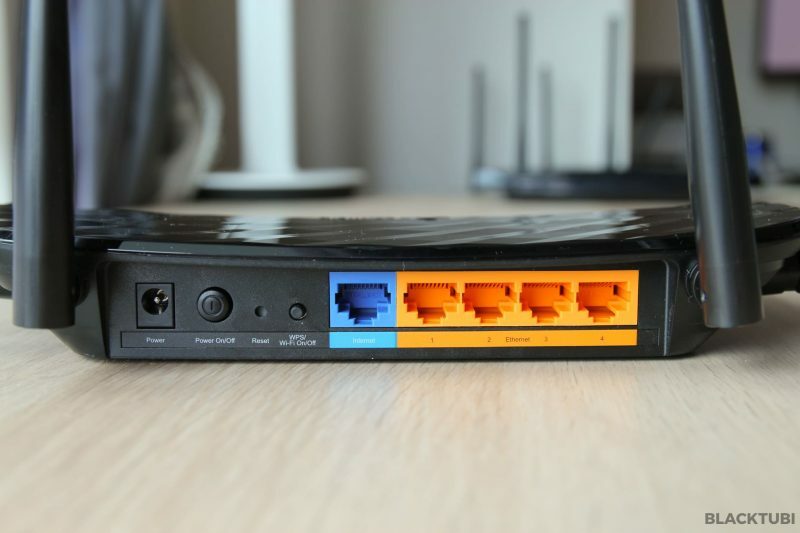 NAT Boost is important and you must enable it in order to enjoy faster performance on your wireless router. As for other for user oriented features, the Archer A6 features a basic parental control. 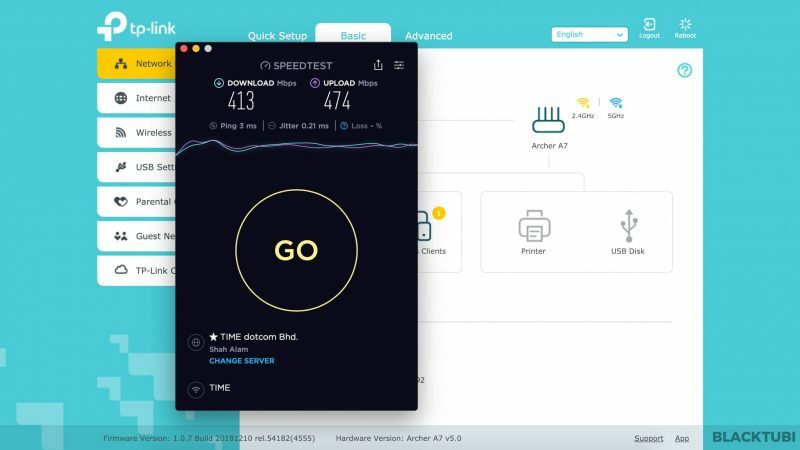 Unlike the Homecare parental control on higher end TP-Link routers, the parental control on the Archer A6 is a usage time limiter and keyword filter. There is also a guest WiFi and VPN server feature. TP-Link Archer A6 also lets you to manage it with the TP-Link Tether app, available for both Android and iOS. 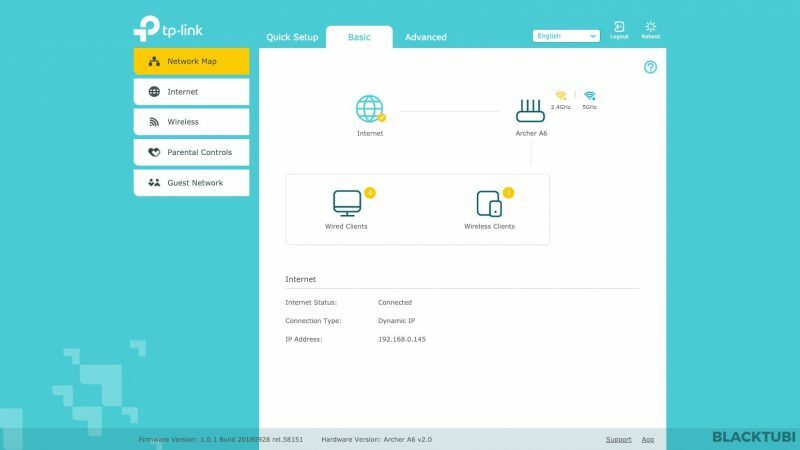 It allows you manage your router and change a few settings using your phone. 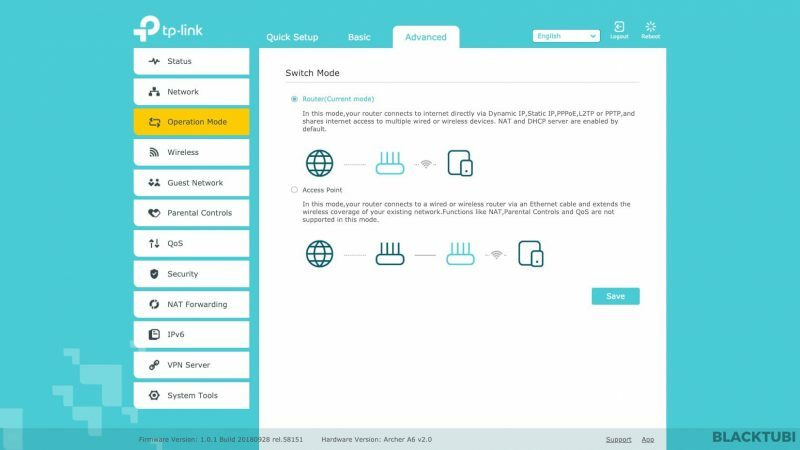 This feature is handy for you to see what devices are connected and to see some status quickly. 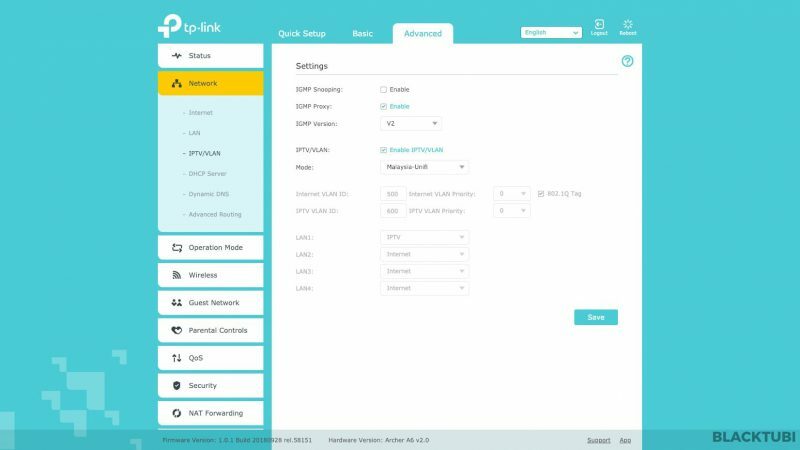 TP-Link Archer A6 is compatible with Unifi and the setup process is rather simple. 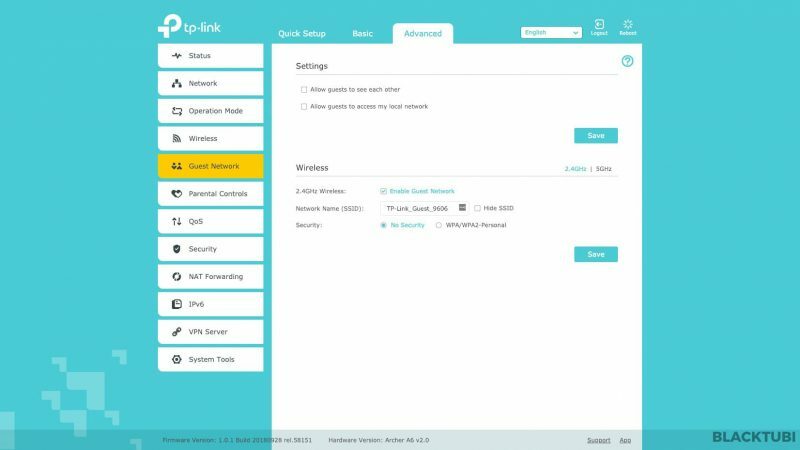 Just remember to select the Unifi profile in the setup wizard. If you missed it, you still can manually select it in the. 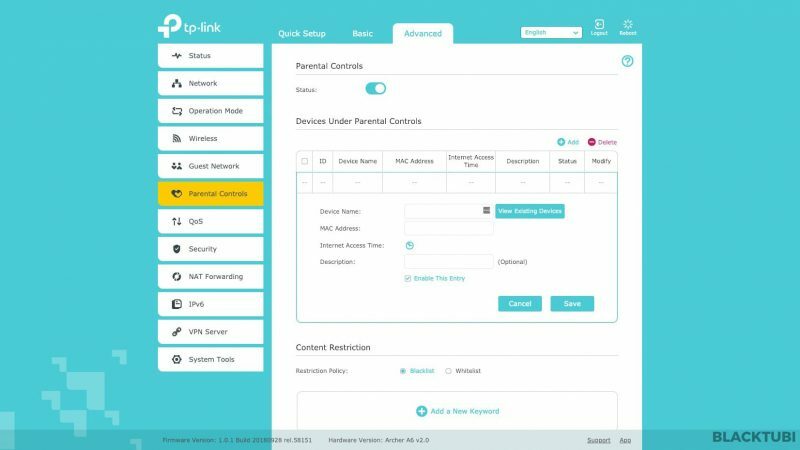 You can refer to my TP-Link router Unifi Setup Guide. 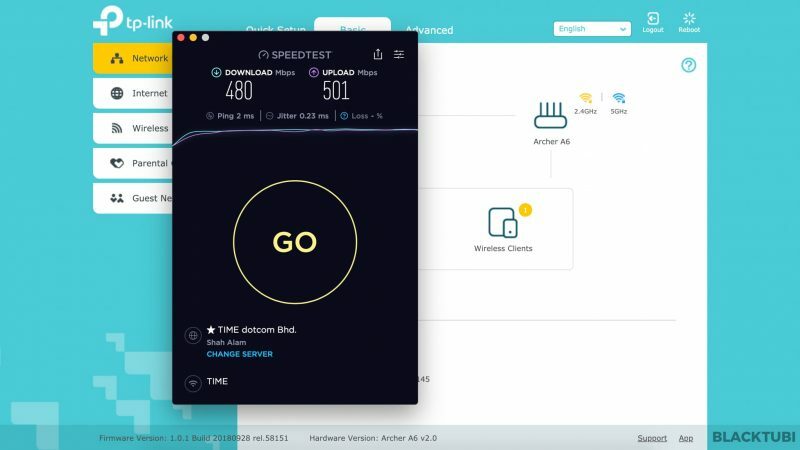 The WAN Performance is used to test what is the maximum speed of the wireless router as we all know not all router with Gigabit ports can actually support Gigabit Internet speed. Well, with NAT Boost enabled, we can reach 940Mbps reliably on the Archer A6. This router can support Unifi Turbo up to 800Mbps and TIME 1Gbps if you just intend to use it on wired LAN. This will be unfair to the Archer A7 as we are not using the full potential of the A7 when using an AC1200 receiver. But, most devices in the market only support AC1200 today so this will give a better representation of real world results. The results are indicated above. As you can see, the Archer A6 is actually slightly faster than the Archer A7 when testing it with an AC1200 receiver. 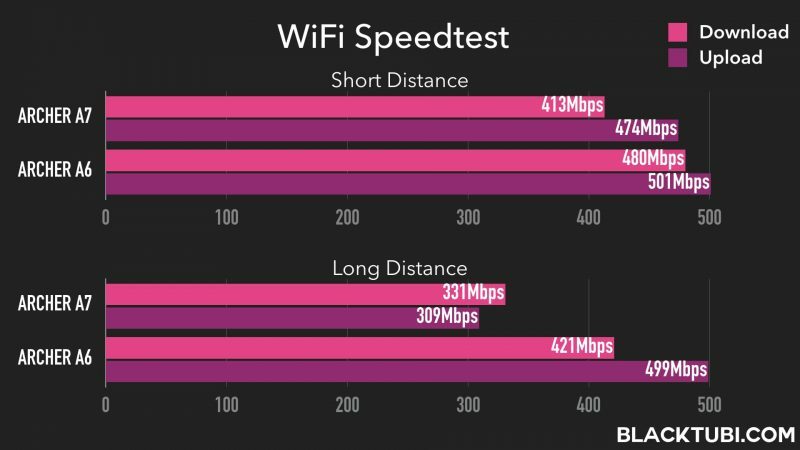 This is probably thanks to the newer wireless chipset on the Archer A6 with Beamforming support. The Archer A7 will definitely beat the Archer A6 if I am using an AC1750 client. 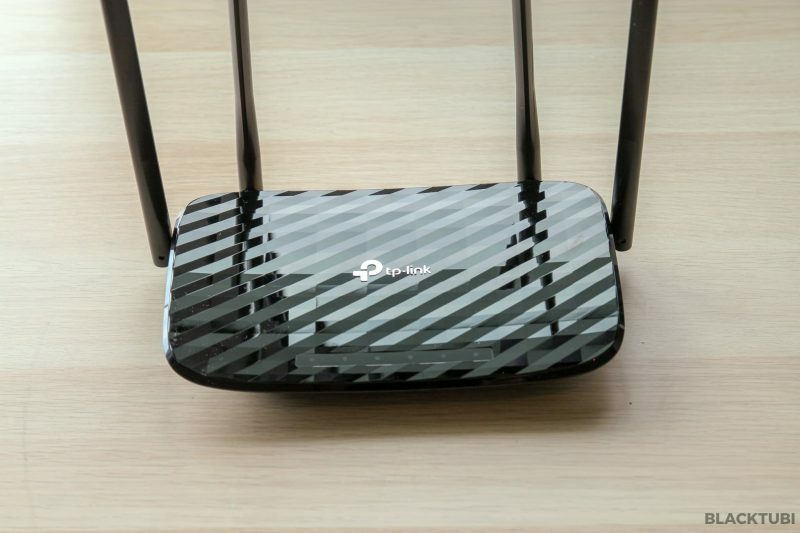 TP-Link Archer A6 is a great affordable wireless router. At a price of less than RM200, I doubt anything in the market can deliver the same level of performance like the Archer A6. The performance is really good with stable WiFi performance and strong WiFi coverage. I highly recommend this for anyone looking for a budget yet decent performance wireless router. I think this router is suitable for Internet up to 500Mbps and around 10 simultaneous connected devices. Well, it is not without the drawbacks as it does not have a USB port. If you absolutely need a USB port, you can consider TP-Link Archer A7 which we reviewed here. TP-Link Archer A6 will be available on Shopee store at a limited offer price of RM159 until 27th March. Use this opportunity to get this offer now! TP-Link Archer A6 is the best affordable wireless router in the market right now. It is really affordable and it performs really well. Does Archer A6/C6 compatible on streamyx? Not possible as it does not comes with telephone port. Is A6 better than C6? Price wise A6 is cheaper. 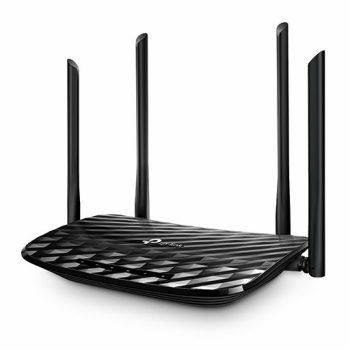 What is the max wireless range for this router?my house is 3 storey and i need to place the router on the first floor to connect it to hypptv. Don’t think it can sufficiently cover 3 floors. Alvyn, can I just say you’re the absolute best reviewer for these in Malaysia. Friggin love ya. The minute I typed in A6 and C6 difference on google and saw your post. You genius. Anyway, I wanted to ask the compatability for this modem on Maxis? Yup, it is compatible with Maxis Fibre. just got mine today, ordered from lazada TP-Link Official.. after setup i get 300m from tm speed test.. and after few mins of using, drop to 50m, tried to restart router..same thing isssue hppn..any way to solve this? Do you happened to unticked NAT Boost in system parameters? i think my problem might be lan cable, im using a vry old ones..and theres a another issue..sumtimes the internet led on the router turns orange, had to restart few times for it to connect agn..
Maybe try a new LAN cable and see if it helps. What’s the difference between A6 fnd C6 ? They are exactly the same hardware with A6 being slightly newer. Tp-Link Archer A6 or Asus RT-AC1300UHP for unifi 300Mbps???? The RT-AC1300UHP is definitely better but it is more expensive as well. I am currently using TP-Link C1200 from TM on Unifi 300Mbps. Would you advise upgrading to TP-Link A6? Will there be noticeable improvement in terms of stability and wireless coverage? It will be a very significant improvement in terms of stability and speed. why A6 performance is better than A7? We think it is due to the newer chipset on the Archer A6. Only Archer C6 is currently available in the market right now. Have Archer A6 officially landed in Malaysia? I don’t think it is available for purchase currently.